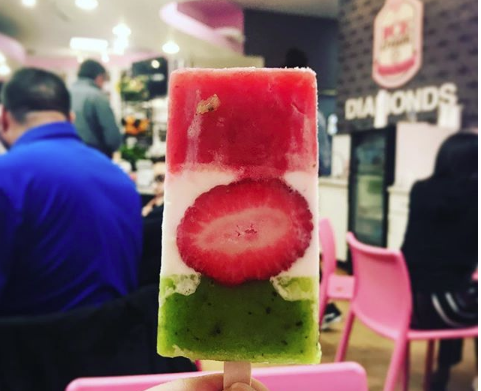 Paletas is Spanish for “small sticks”, but these popsicles aren’t like any you’ll find in your local grocery store. Homemade without or without milk, there’s something for everyone, both sweet and savory. Whole-sliced Strawberry & Kiwi pops are cool for the kids, or maybe the Watermelon Chili pops for the grownups.